Offering you a complete choice of products which include acrylic 3d led letters, acrylic led letters signage, acrylic led box letters, acrylic logo, acrylic letter and acrylic sign board. Acrylic 3D LED Letters offered can be made available by us in different finish construction choices and in different size options to pick from. 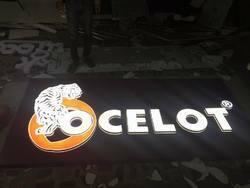 Acrylic 3D LED Letters offered feature smooth, attractive and aesthetic designed finish and provide for superior crack resistance which make these lasting in usage. 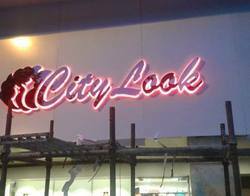 We are among the eminent names in the industry reckoned for manufacturing, exporting, wholesaling and trading a comprehensive range of Acrylic LED Letters Signage. 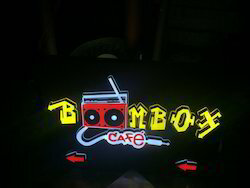 We are recognized as one of the foremost service providers of Acrylic Logo Sign Board. Our team of experts assists us to satisfy clients by providing the best quality work in this fast changing and competitive business environment. We offer an impeccable range of Acrylic LED Box Letters to our prestigious clients. Our offered LED is intricately manufactured by our experts, keeping in mind the latest market trends using optimum quality raw material and cutting-edge technology, in line with set industry standards. 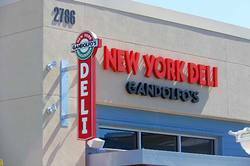 Our firm specializes in offering a qualitative assortment of Acrylic LED Box Letters. Manufactured by our skilled professionals in accordance with set industrial standards, this product is made available in various specifications to suit variegated demands of clients. Acrylic Logo offered feature quality construction finish and can be made available in different design choices as per the specific demands of the customers. We are one of the leading manufacturers and exporters of a wide range of Acrylic Logo. One can avail from us a quality approved series of Acrylic Letter. Owing to their top quality, water resistance and longer life, our products are extremely applauded amongst the patrons . We bring forth a qualitative assortment of Acrylic Letter which is designed as per the brand requirement. We are counted as the reputed manufacturer of supreme quality Acrylic Sign Board. Widely used for the display of the commodity introduction signs, these are highly popular in the market. Remaining synonymous with the quality, we are engaged in manufacturing & supplying Acrylic Sign Board. 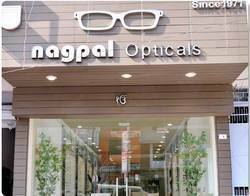 Our expertise in this domain has enabled us to offer a wide range of ACP Board Acrylic Letters . We are engaged in manufacturing the best quality ACP Board Acrylic Letters to our esteemed customers. 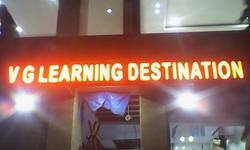 We have an expertise in manufacturing & exporting extremely sophisticated Acrylic Letter Sign Board. These customized display boards are purposely designed & manufactured as per the varied display requirements of our clientele. We offer an exclusive range of Acrylic Letter Sign Board that find extensive usage in offices, showrooms, shops, homes and other indoor applications. Being a patron focused firm, we are involved in offering a broad range of Acrylic 3D Letters at rock bottom prices . We are proud to introduce ourselves as one of the well known providers of Acrylic 3D Letters at pocket friendly prices. With the help of our expert team members, we have been able to provide eye-catching range of Acrylic 3D Sign Board to our customers. Owing to the rich industrial experience and expertise in this business, we are involved in providing Acrylic 3D Sign Board to our customers. Acrylic ACP Sign Board is a great choice for displaying corporate lettering and logos.We manufacture Acrylic ACP Sign Board that contain an exceptionally slick, smooth surface made of premium quality base material. We are enlisted amongst the leading names in the industry, offering comprehensive range of Promotional LED Acrylic Sign Board .Enriched with vast industrial experience in the industry, we offer wide range of Normal LED Acrylic Sign Board that are manufactured with accuracy.